Last Wed (Feb 8) several of our members assisted at the Marana Food Bank's monthly distribution of food in Picture Rocks. This took place at the Ortiz Community Health Center. Randy Brooks drove the food bank truck over to Center to deliver boxes of food, and helped Mary Straus organize the food into bags. 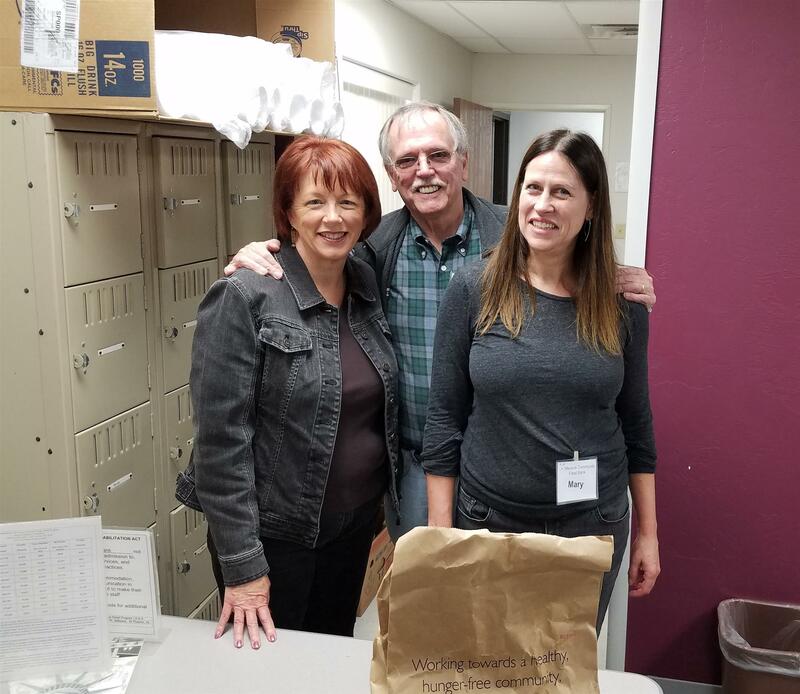 Jo Holt helped Marana Food Bank's Denise Burns distribute the right combination of food boxes and bags to clients. What a nice group of people, both helpers and clients! It was fun and enjoyable, and Mary really got a workout.